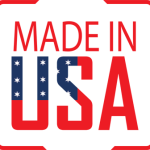 Every order contains 4-packs of 30 individual 8fl oz. 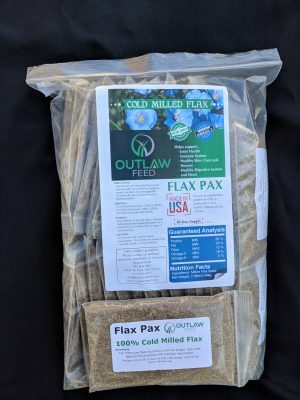 (4oz net weight) daily servings of our naturally stabilized cold milled flax for a total 120-day supply. Conveniently packaged for daily use while traveling or in hurry. Our Flax Pax take the guessing out of having to measure portions or hauling around a large bag while on the road. 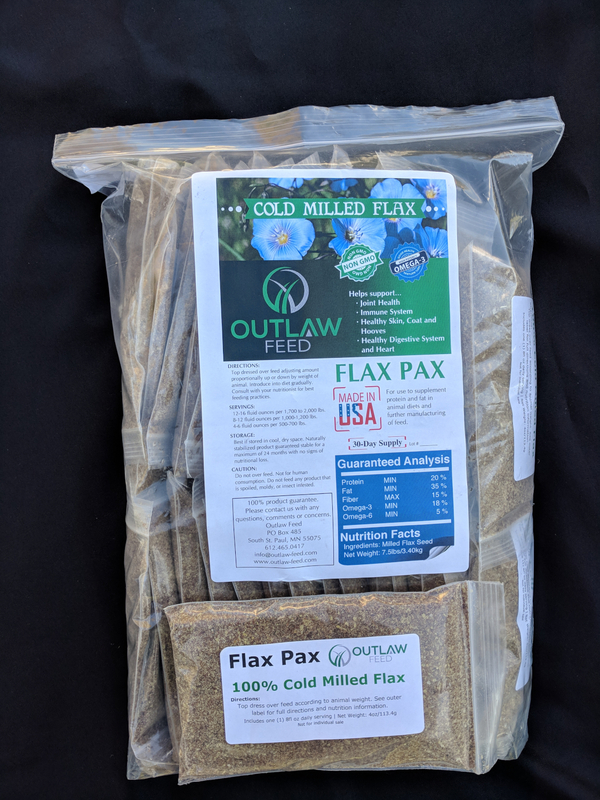 It’s never been easier to make sure your animal receives their daily serving of cold milled flax with Outlaw Feed’s Flax Pax. 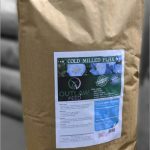 Our naturally stabilized cold milled flax is a product of the USA. Not intended to be used as a vitamin and mineral supplement. Ample supply of fresh, clean water is recommended. Feed is perishable. DO NOT feed any product that is spoiled, moldy, or insect infested. Product can be stored for up to 2 years in a cool, dry area away from direct sunlight, insects, and rodents. 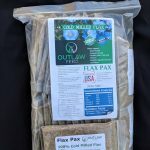 Gradually introduce flax into animal diet working up to 8-12 fluid oz (4-6oz net weight) per 1000 lbs of animal per day. Adjust serving size proportionately, according to animal weight, for smaller or younger animals. Always consult with your nutritionist for best feeding practices. © 2019 Outlaw Feed. All Rights Reserved.